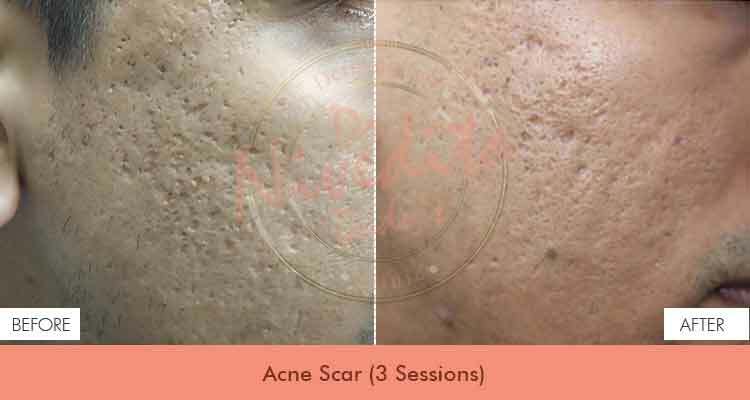 Apart from scarring the skin, acne also scars a person’s self-confidence and mind. However, do not lose hope, the best part about this much dreaded skin condition is that with exact examinations and medical counsel, it is totally curable. Acne scars are essentially caused due to clogging of pores due to dead skin, bacteria or abundance oil. 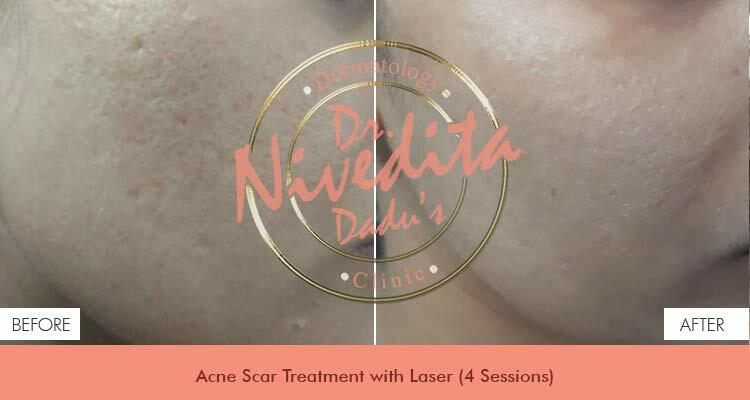 Consult Dr. Nivedita Dadu and find an apt Acne Scar Treatment in Delhi. Acne scars are the visible reminders of injury and tissue repair. Acne scars are generally the result of inflamed spots caused by skin pores engorged with abundance oil, dead skin cells and bacteria. The pore swells, bringing about a breaking the follicle wall. Shallow injuries are usually minor and mend quickly. But if there is a profound break in the wall of the pore, infected material can spill out into encompassing tissue, producing deeper lesions. The skin tries to repair these lesions by forming new collagen fibers. These repairs usually aren't as smooth and flawless as the original skin. 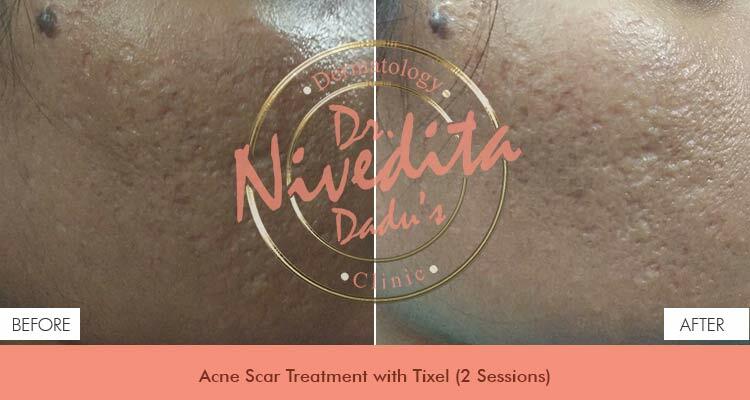 If you are looking for an apt Acne Scar Clinic in Delhi, visit Dr. Nivedita Dadu. Luckily, the options for acne scar management have improved dramatically over the past few years with the advent of new laser technology. Currently many treatments are available to improve the appearance of acne scars . While a complete cure is not possible, most of our patients can appreciate significant improvement with these treatments . The choice of treatment is based upon the types of scars , the down time the patient can afford and patient’s budget . Patients who have acne scars, only medical treatment may not be helpful. 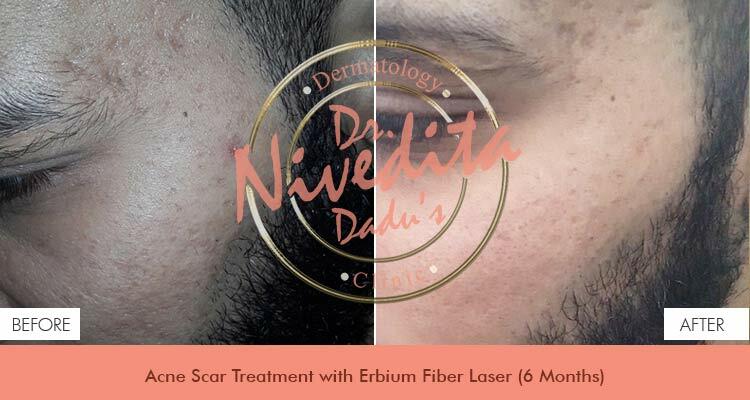 Acne scar patients require one of the following therapies offered by Dr. Nivedita Dadu’s Dermatology clinic in Rajouri Garden. 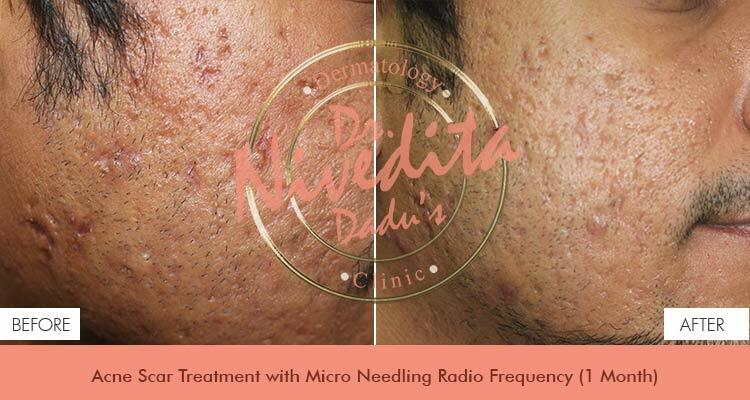 Dr. Nivedita Dadu’s Dermatology clinics acne Scars treatment in Delhi is reliable and result oriented. 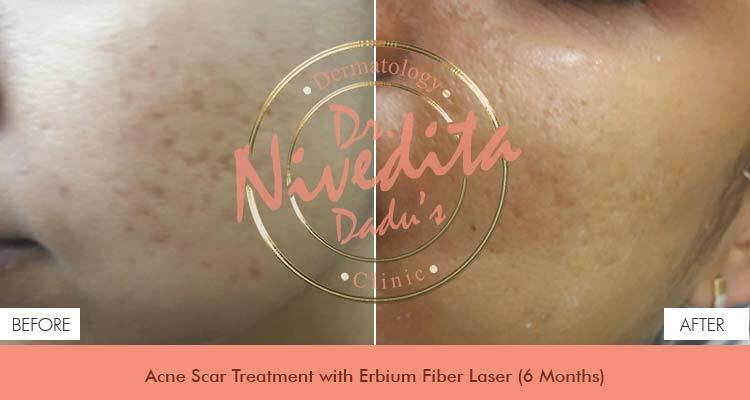 If you dream of having unblemished skin we suggest you get the laser treatment for acne scars by Dr. Nivedita Dadu. Tixel is a new non-laser fractional system of skin resurfacing that is based on thermomechanical ablation technology. It helps in Acne Scars Removal Treatment. Using the heat energy, when the tip of the TIXEL touches the skin it causes micro injuries. These micro injuries encourage the body to produce collagen and elastin for a more healthy and supple skin. 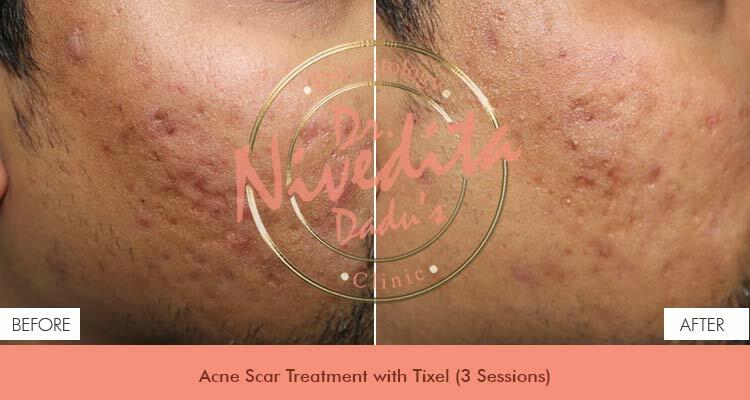 TIXEL can be used all over the face, including the sensitive skin around the eyes and the neck and that’s why it is the preference of many skin specialists like Dr. Nivedita Dadu. 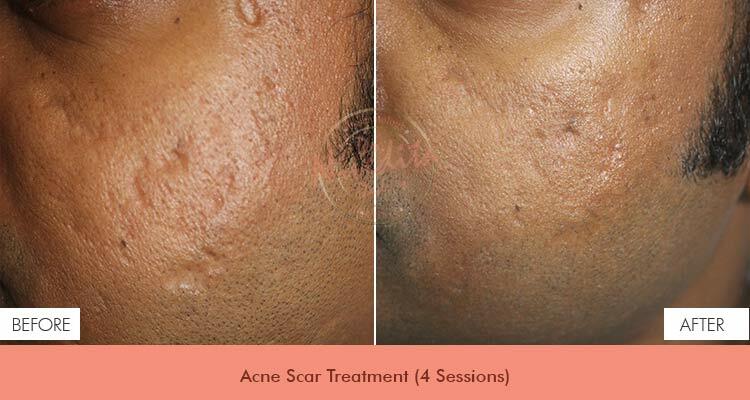 B) Scar Treatment Laser– Acne scar can typically be improved with the appropriate selection of laser treatments. I was so disturbed due to acne. I never thought that acne will leave its remembrance on face. I lost hope that acne scars will never go. 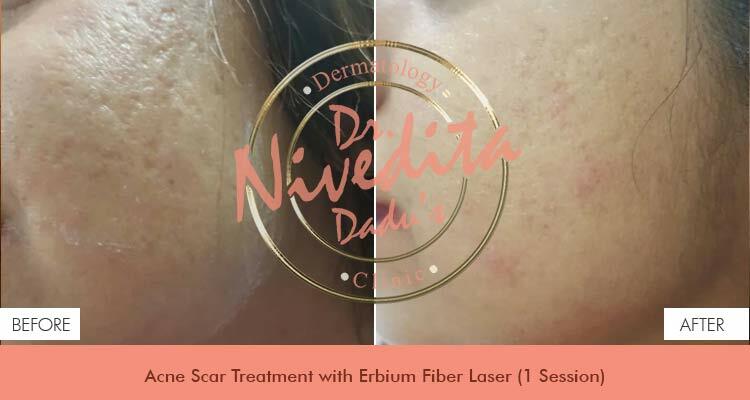 I consulted Dr. Nivedita Dadu and she suggested me to undergo the laser acne scar treatment and informed about its advantages. I can see the new in me and results made me speechless. Keep it up! My acne scars have completely gone. I am very satisfied with the treatment. Thanks, Dr. Dadu. 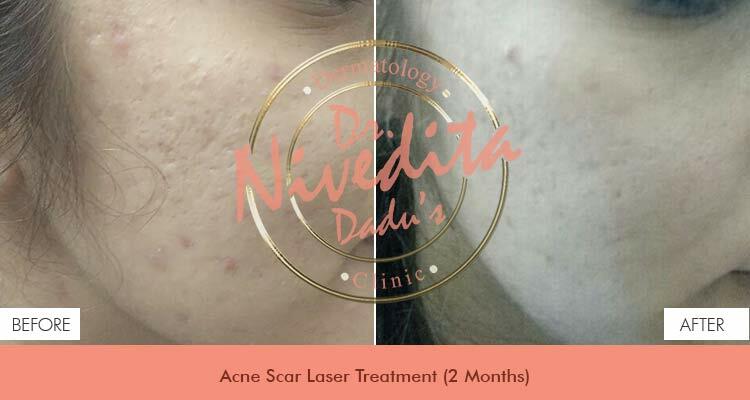 Dr. Nivedita Dadu is the best dermatologist I have come across for my acne treatment. Thank you so much for the treatment. 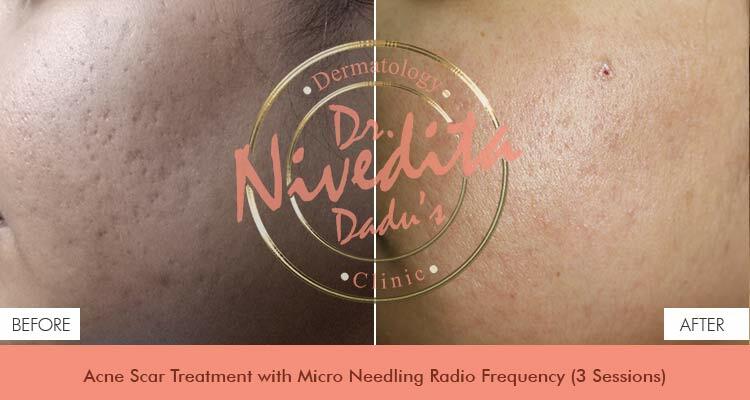 I'm really very happy that I chose Dr. Nivedita Dadu’s Dermatology Clinic. Great job Dr. Nivedita and staff. Thanks for showing me the best results on my face. 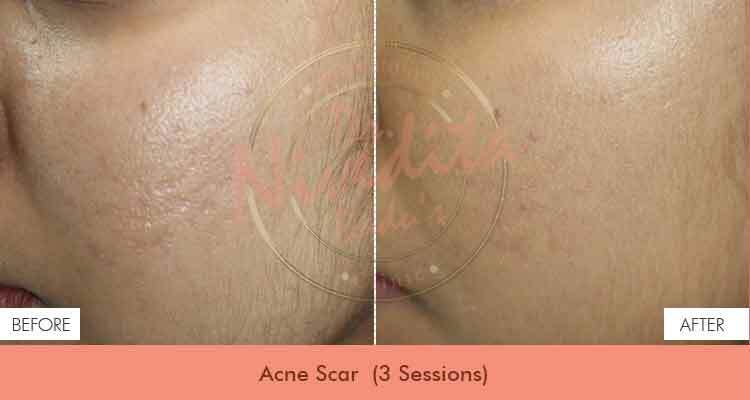 This clinic is the best acne scar removal clinic.